Curly Heart Pine is a burled grain variation found in some longleaf heart pine and Dade County pine trees. It typically occurs most predominantly at the junction of heartwood and sap wood. 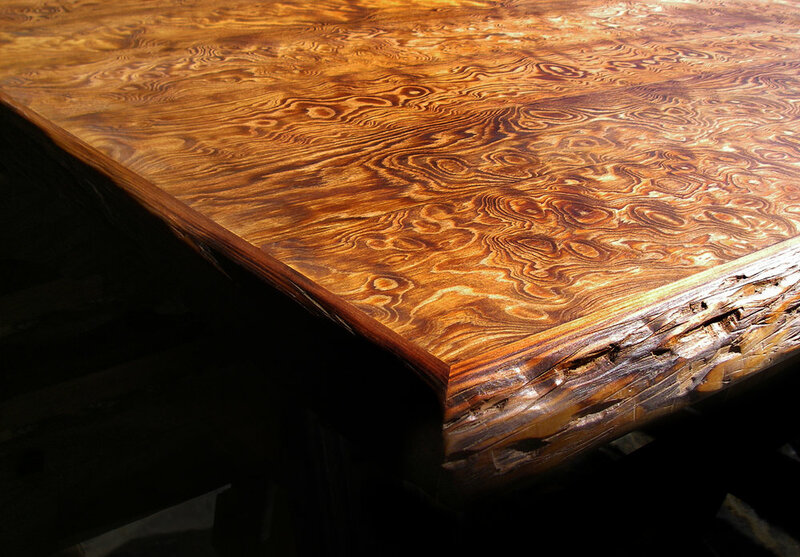 This distinctive grain pattern makes it a rare and unique treasure, and our most expensive product. It is available in limited quantities by special order only. Like other Longleaf Heart Pine and Dade County Pine, it has natural amber red and brown color hues. It is distinguished by grain that appears almost holographic and three-dimensional. These distinct features make it ideal for accents on special projects.